In ISSF Skippers Workshops, skipper participants share feedback on different sustainable fishing approaches. This infographic tracks changes in skippers’ acceptance of switching to non-entangling fish aggregating devices (FADs) from traditional FADs to reduce shark and other bycatch in tuna fisheries. 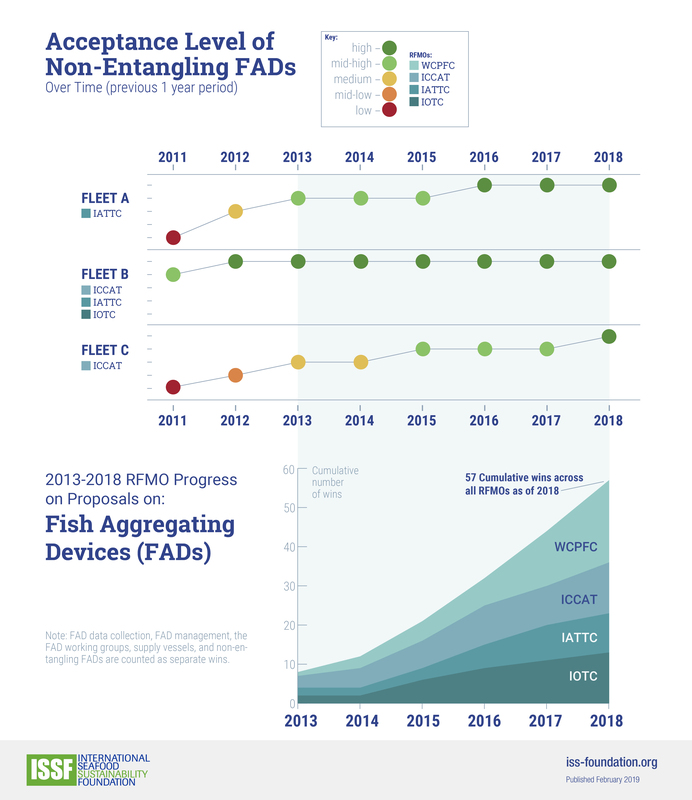 It also shows the number of Regional Fisheries Management Organization (RFMOs) proposals relating to policies on non-entangling FADs in fisheries. Updated in February 2019, this infographic is from the Advancing Sustainable Tuna Fisheries microsite, which explores ISSF’s accomplishments to date as well as strategic goals in the 2018-2022 ISSF Strategic Plan.